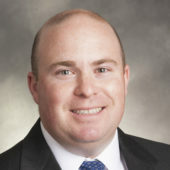 Royce Brockett has 16 years of experience working in the pharmaceutical industry with a focus in sales and marketing. He is currently the Director, Product Management, Prefilled Systems & Delivery at West Pharmaceutical Services. His responsibilities include supporting business development efforts, defining new products, and executing marketing strategies. Mr Brockett has published articles related to sterilisation techniques for elastomer components, particle reduction strategies and cartridge technology. Prior to joining West, Mr Brockett held various positions within the sales and marketing organisation at AbbVie, Solvay, and Pfizer. He holds a BS in Biochemistry from Lehigh University and an MBA in Health Sector Management from Boston University.